It’s a dilemma we’ve all pondered at one point or another. If you should find yourself stranded on a remote island with little more than a selection of handpicked bottles to call company, which particular boozes would fill your glass? We put the question to Joe Hall, general manager at laid-back neighbourhood hangout Satan’s Whiskers. For the unacquainted, Satan’s serves up some of Bethnal Green’s finest cocktails to a formidable hip hop soundtrack. The daily-changing menu is packed with riffs on classics so killer, the man himself would patently approve. Say hello to Joe Hall! No stranger to the back bar, Hall’s career started at former north London bar Wax Jambu at the age of 18. After a few years he moved to Bristol – “a place that I still think has one of the best cocktail scenes in the country, with Hyde & Co, Redlight and Filthy XIII leading the charge at the moment,” he says – before returning to London to Beaufort Bar at The Savoy, which won Best International Hotel Bar at The Spirited Awards 2015 during his tenure. Hall left The Savoy for a junior bartender position at Satan’s Whiskers, which almost four years on, he now runs. Why? The perfect mixing Cognac. Clean, Borderies-only and lees-less liquid – amazing in Harvards, French 75s, and Cognac and Tonics. Also, perfect for those frozen Cognac shots we all love – right? Why? This is the Cognac you want to drink neat. Unbelievably flavourful product of single vineyard Grand Champagne grapes, aged for a long time in dry cellars. It’s rich and complex, but has remarkably distinct tropical notes – passionfruit and pineapple. This is an amazing example of what, for me, makes Cognac stand out amongst other spirits. Why? Pleasant, accessible amontillado Sherry. Maybe too light for the ultra-serious sherry heads of this world but it’s perfect for clean, crisp mixed drinks. Makes my favourite [version of the cocktail] Adonis, and Sherry and Tonic – or a Sobremesa, a drink of mine that contains sherry, sweet vermouth, cucumber and a touch of mezcal. Why? Why isn’t everyone aware of this stuff?! It’s through distilling only twice with no filtration during the production process that creates this beautifully-flavoured and textured rye vodka from Poland. It makes Martinis that are absolutely out of this world. Why? I knew I wanted to include something from Compass Box, but picking which bottle is a real challenge. They have such a fantastic range, with some unbelievable blends on offer. As far as pushing the envelope and mind expansion goes, Hedonism has it all, showing that grain whisky can be 100% delicious too. Why? You wouldn’t be able to make any White Russians without this. Why? The fondest memories in my entire career are of my time in Venezuela with Diplomatico and the rest of the European competitors. Such wonderful hosting, food, country, weather and… rum. This is the kind of rum you can drink in cocktails during the day, on ice in the evening, and straight out the bottle at night. And that’s just what we did. Why? As if I could do any kind of Desert Island Discs piece from a cocktail bar that only plays hip hop without referencing Drake. I like to think we’re the only small, curated industry cocktail bar that stocks it, let alone has it taking pride of place in the centre of the back bar. Tastes 100% acceptable. In-keeping with the theme, if you could take one book with you, which would you choose? Champagne Cocktails by Jared Brown and Anistatia Miller. Apart from being an informative and succinct list of fancy drinks, this book does a fantastic job of evoking the convivial fun that drinking Champagne should be. Having this on a desert island would get some good celebratory nostalgia going! My phone. Just for the Instagram. Can you imagine the photo opportunities? Coconut shell cocktails and banana leaves… My stories would go viral. Finally, if you could only drink one cocktail there, what would it be? If you’ve ever felt as though you can’t quite find the right words, it could be because they don’t exist – not in English, anyway. The team at Little Red Door has clocked onto this with a new drinks selection, taking 10 untranslatable words and using them to inspire corresponding cocktails. The premise of the menu, dubbed A Way With Words, is this: all words are rooted in emotion, which is how they are given meaning (deep, we know). So the cocktails, in their deliciousness, will delve deep into the emotion behind the phrases. The team, who hail from French, Dutch, Swedish and Venezuelan backgrounds – and usher hundreds of international guests through their doors each week – were inspired by the language barriers that are often broken down in the bar. Rough translation: Why is the sky blue? Why are strawberries red? Why does that person keep asking questions?! How it’s made: The team separates milk using strawberry leaf-infused Belvedere vodka, adds strawberry vermouth, and then filters the mix to serve a clarified milk punch. So, how did they do it? First, they gathered words that “depict a certain emotion, feeling, state or ritual that in its native language sums up an entire experience, but in English needs a full description”, and shared them out among the bartenders, who got busy researching, interpreting developing, and ultimately translating their given word into a drink – albeit in their own creative bar language. Rough translation: Strolling along by the sea, breathing in the warm sunset air, digesting a lovely meal, being with each other. How it’s made: To create this non-alcoholic twist on the classic Americano serve, the team combine house-made non-alcoholic Amaro with Seedlip Garden 108 and soda water. The physical menu, should you be lucky enough to get your mitts on one, is decorated with artwork by surrealist photographer Natacha Einat which aims to evoke the feeling of the words behind each cocktail. Thought-provoking drinks are, after all, a Little Red Door staple. The new cocktails follow 2018’s Menu of Universal Values, made up of drinks representing 10 different values that everyone feels at least once (strength, stimulation, achievement, hedonism, benevolence, conformity, self-direction, tradition, universalism, and balance, FYI). I ask Shepherd what he enjoys about approaching cocktails in this way. Rough translation: The sense of seasons to come, the first scent of cut grass, bees collecting nectar, leaves turning to amber. How it’s made: Well, it really depends on the season. The flavour of this whisky cocktail – which is served on the rocks in a Japanese-inspired bowl with seasonal flowers and fruits – will be dictated by the local produce available. While the hip hangout, situated in the Marais neighbourhood of Paris, undergoes a small refurbishment, Shepherd and the team will take their new creation on an international tour, working in collaboration with bars along the way to create bespoke drinks based on words in their native languages. London will be the first to taste A Way With Words over the coming weekend (12, 13 and 14 April), hosted at buzzy Marylebone bar FAM in collaboration with Porter’s Gin. How it’s made: Fermented agave wine made in Paris is combined with red apple verjus and mastiha soda with hops to make a light, floral drink. A Way With Words is available at Little Red Door now, presented in both French and English. The time has come once again for your favourite pals at Master of Malt to dive in to the news stories of the week from the world of booze – it’s another edition of The Nightcap! You have technically made it through the final full work week of January 2019. That in itself is a triumph. High-fives and fist-bumps all around – your choice which you receive. Personally, I enjoy the nonchalant and relaxed nature of a fist-bump, but others might prefer the exuberant bravado of a high-five. Either way, you’ve done all well. Also, since it’s a Friday, it’s time for our weekly round-up of the stories from the drinks world. Bonus. Here’s what’s been doing down on the MoM Blog this week. The Buffalo Trace Antique Collection happened again – in fact, it’s still happening, as our charity auctions for bottles of these exciting whiskeys are continuing on over the weekend! Annie chatted with The Three Drinkers off of the TV about whisky being on the TV, and then had a look at Aussie whisky in honour of Australia Day (which is tomorrow). Henry sat down with Conor Hyde from Hyde Whiskey to find out about whiskey bonding and more, then took us through the foundations a classic with the Cocktail of the Week – the Martini. Kristy talked to Jon Purcell about his new book, The Art in Whisky, and has been having a nose around some of California’s best distilleries – check out our Instagram stories to see what she’s been up to. Adam showed off oddles of delicious treats based around coffee and tea, then took a look at Auchentoshan’s New Malt Order and how bartenders help shape some of the distilleries whiskies. The sun has gone down, the working week is ending, it’s time to pour yourself a glass of something delicious, and catch up with all the news that’s fit to drink. Yes, it’s time for… The Nightcap! This week we went Robert Burns crazy with the launch of our poetry competition. We’ve already been inundated with entries, and the winner will be announced on Burns Night itself (25 January.) Then continuing with the Burns theme, Adam rounded up some Scotch whiskies that would have brought a smile to the Bard’s face. Annie looked at some unusual bottles: rye whiskies from Britain, and peat-smoked spirits from everywhere except Scotland (not sure Burns would have approved.) Our Cocktail of the Week was that tiki classic, the Zombie. Kristy visited the Wolfburn Distillery and spoke to top glass maker Denver Cramer about how to get the most out of your nose. Lots to get your teeth into! And now it’s time for booze news. Here we go! Our take on booze trends for 2019! 2 Comments on Our take on booze trends for 2019! There’s nothing we enjoy more here at MoM Towers than a good old chinwag about delectable spirits. And with the earth completing another full circuit round the sun, what better excuse to surmise, debate and generally theorise about the state of booze in 2019? Read on for the lowdown on ten drinks trends we think will influence what and how we consume in the coming 12 months. Enjoy! Super rare Cognacs land at Master of Malt! 1 Comment on Super rare Cognacs land at Master of Malt! There’s so much more to Cognac than the big names. We talk to David Baker, Cognac sniffer-outer extraordinaire, about how he finds rare expressions, and then persuades the owners to sell. It was a taste of 1840 A.E Dor at a hotel in Monaco that turned David Baker on to the magic of Cognac. Well, you might as well start with the best. It was the beginning of a great love affair. In 1987 he set up his own business, Hermitage Cognacs, to showcase the finest, rarest and oldest brandies that the region has to offer. 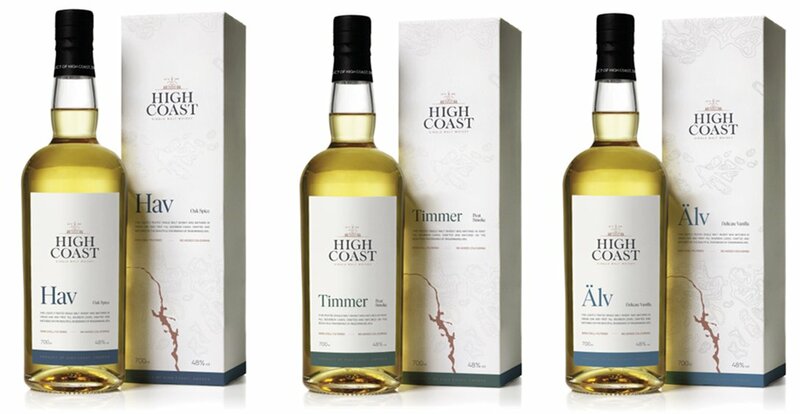 Whisky auctions: The great, the good, and the delicious! No Comments on Whisky auctions: The great, the good, and the delicious! Here’s why we think whisky auctions are great – and why you’re about to see loads more of them on Master of Malt! For the love of great drinks. That’s why the top team here at MoM Towers got into the whisky game. And that’s why we keep striving to bring you the most delicious products, money-can’t-buy competition experiences and the news views shaping all things booze. Which is also why we’re about to kick off a whole host of product auctions, with many an incredible bottling about to hit the lot spotlight. We’re talking a 1953 Glenfarclas, a Tomintoul 40 Year Old, and even Glen Mhor 50 Year Old 1965 (cask 3934) – Cask Strength Collection Rare Reserve! With its lively history, Courvoisier has more than earned its place among the big four Cognac houses. We hit up its Jarnac HQ to get geeky about production, unlock its links to the Eiffel Tower, and marvel at a lock of Napoleon Bonaparte’s actual hair…. The Courvoisier story begins not at its headquarters on the banks of the Charente river, but in Paris, in the suburb of Bercy, back in 1809. Founder Emmanuel Courvoisier started his career as a wine and spirits merchant, and operated several cellars in the area. Autumn means the days are shorter, colder and darker. But this is nothing to fear or loathe because it’s the perfect setting to enjoy everything the wonderful world of French brandy has to offer! And why not? French brandy is no longer a forgotten favourite. It’s ditched the stuffy old-man’s image. The three French ‘Appellation Contrôlée’* brandies, Armagnac, Calvados (the Kelly Rowland and Michelle Williams to Cognac’s Beyonce Knowles) and Cognac, are all now welcome guests at cocktail parties and bartenders have embraced the bold, complex spirits with a wide range of styles and character. So, join us, both seasoned experts and intrepid newcomers alike, as we run through some of the most flavoursome and fantastic French brandy around. À votre santé! Even by spirits industry standards, Martell is super old. Not wartime old, nor Prohibition old. We’re talking about centuries of Cognac heritage. In fact, if you were to lay the historic documents and letters in Martell’s vast archive end-to-end, they would stretch for five kilometers. The company employs a full time archivist to look after them all.